Save for one ill-advised but well-intentioned day at the office Wednesday, I have not left the house since Sunday. I haven’t been upright all that much, either. 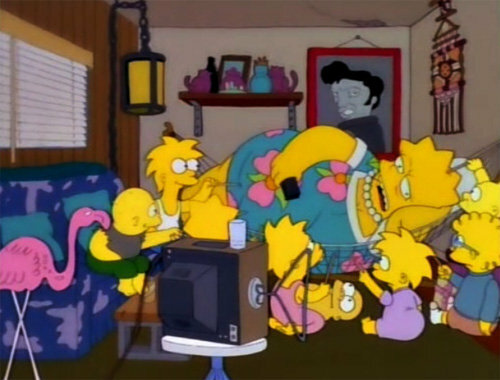 I feel very much like Lisa Simpson in the episode where she fears she carries the Simpson Gene (only I am not obese yet, and I’ve been working instead of watching my stories).